Immunotherapy is a type of cancer treatment that helps enhance the body’s immune system so it can fight cancer. Many patients and doctors prefer this type of therapy because it doesn’t require chemicals, hard therapies, or strong medications. Immunotherapy is a new but common form of cancer treatment. There are still many tests being conducted on immunotherapy to determine precisely how it works and how it can be used to fight cancer. Immunotherapy is also being used in other diseases like rheumatoid arthritis. 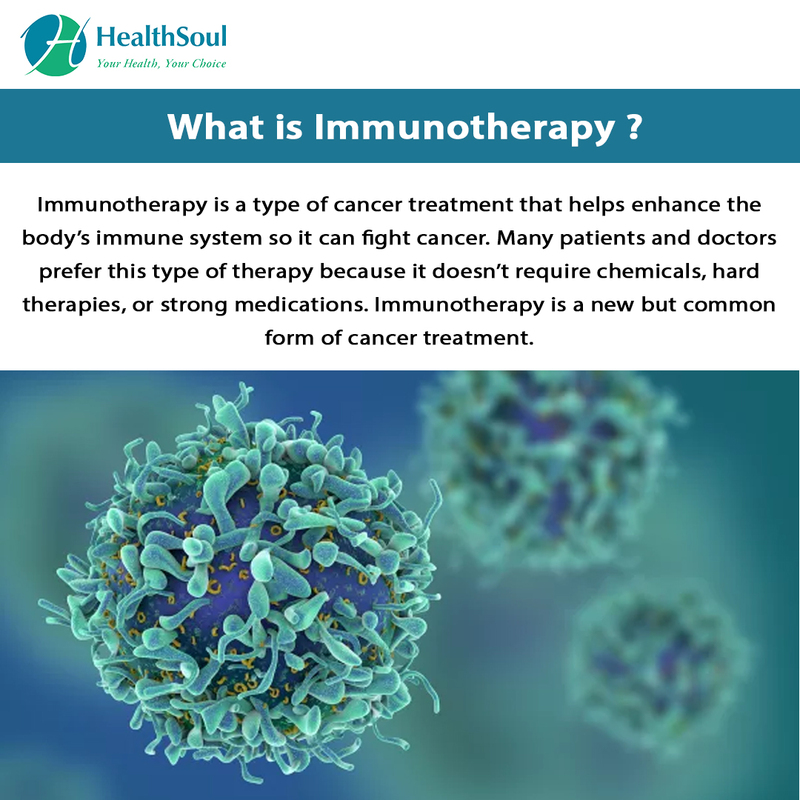 Immunotherapy is commonly used to treat cancer. It can treat various types of cancers but is more effective at treating some forms than others. A patient may need or choose immunotherapy if they are not healthy enough for other types of cancer treatments. Many patients prefer to try immunotherapy before moving on to other, more aggressive forms of treatment. Immunotherapy is not an option for everyone. Patients must prepare for immunotherapy. They need to be in good health for the treatment to work and to avoid complications. Doctors may ask their patients to follow a strict diet, take a series of allergy shots, and submit to various tests that will ensure they are healthy and a good candidate for this type of cancer treatment. Doctors may also advise their patients to avoid stressful situations or any other situation that may cause their immune system to react or fail. The patient will lie on a hospital bed during the procedure and should stay still. The doctor or nurse will inject the biologic agents near the cancer. While the agents are injected, doctors may also run diagnostic tests and monitor the patient carefully. Some patients are able to go home after receiving their therapy. Others need to stay in the hospital during the procedure or for a short time afterward to make sure they are not reacting to the agents. The prognosis depends on the patient’s response to the immunotherapy. Most people recover from immunotherapy within a couple of days of receiving treatment as long as there are no complications. Immunotherapy has proven to be successful at treat all types of cancer. While some people may experience side effects of the treatment, it is still a popular option for fighting cancer.